A picture can be worth a thousand words, but in this case, it’s the story behind it that speaks volumes. Sent in by Shelby Ingram of Edgewater, B.C., this photo won our Hotshots contest for the month of October 2016. It was taken by Shelby’s father and best sledding partner, Dean. 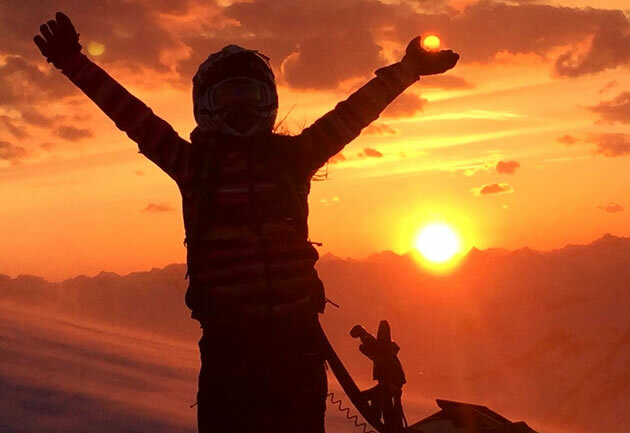 In our Q&A with Shelby, we learned more about her strong backcountry sledding roots, as well as the bond between father and daughter that was built on snow. How did you get into sledding? I got into sledding about six years ago. 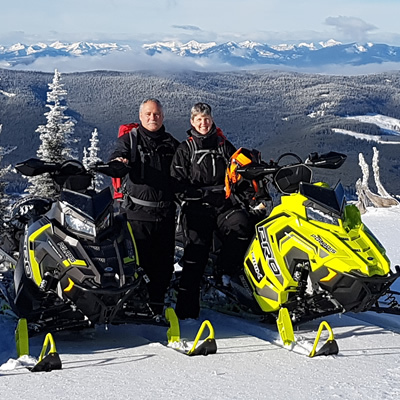 As a younger kid, my dad always took me skiing to the ski hills, and then eventually, he bought a sled and started sled-skiing and started bringing me. Once I got into sledding a bit more, my dad bought two sleds and I completely hung up my skis and started sledding every chance I got. I absolutely fell in love with it. Where do you spend most of your ride time? The majority of my time is spent riding up Forster Basin. It’s practically in my backyard as it’s only 40 minutes from my house to the unloading area. The terrain up Forster is a little bit of everything. There is the glacier that opens in early February, which is wide open. There are lots of hills to climb and a bit of tree riding. Tell us more about the day this photo was taken. It was in mid-April of this year. My dad and I went up sledding after we were both off work on a nice spring Friday afternoon. That’s something we do often—go on evening spring rides to enjoy the sun since it’s so close to home. We were getting ready to leave this one night and we looked back and the sun was just starting to set on the glacier. So I followed my dad back up with a few more of our friends and it was honestly the most incredible sunset I’ve ever seen. If you could go sledding anywhere in the world, where would you go, and why? I would probably keep it closer to home since we are so lucky to live where we do. I would totally go and spend a week at Chatter Creek by Golden, B.C., but that’s about as far as I need to go. Plus, I don’t like to travel, and as I said before, I’m already so lucky to live where I do. There are places I haven’t been around home yet. What is your all-time favourite sled video? I don’t really have a favourite sled video as I’m usually too busy with school or actually sledding myself to watch TV. 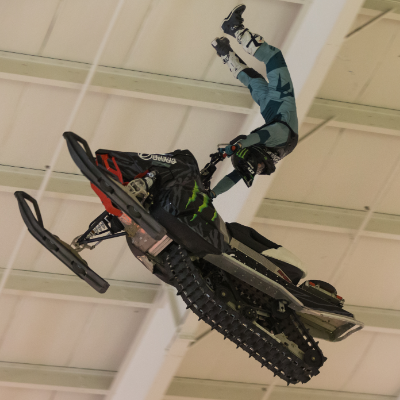 What’s the best riding advice you’ve been given? Probably every time my dad pushes me and tells me to just do it and try. Him pushing me and pushing me out of my comfort zone is the reason why I have the ability to make it on the glacier where I was able to see that amazing sunset. What keeps you busy in the summer? I pass my summer by working two jobs so that I can afford to keep my sled while going to college in the winter. I don’t enjoy the heat, but I don’t mind going boating with my friends when I have a day off here and there. If it wasn’t for my dad, I wouldn’t be anywhere in my life. He has pushed me to be the best rider I can be and I never stop learning from him and improving my skills. He always pushes me to try new things and never complains when I break parts. He’s always the first person waiting to high-five me when I make it to the top and the first person there to pick up the pieces when I crash. If it wasn’t for him, I wouldn’t have even been capable of riding my sled to the peak of the glacier where I watched this sunset. 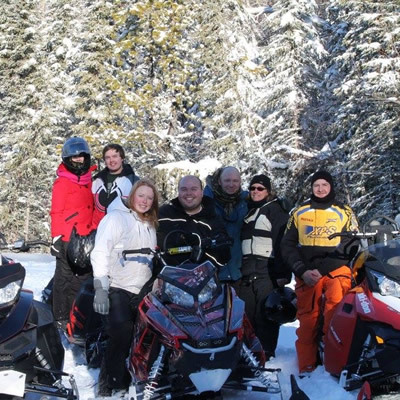 Shelby is the winner of a one-night stay for two people at the Terracana Ranch Resort near Valemount, B.C. 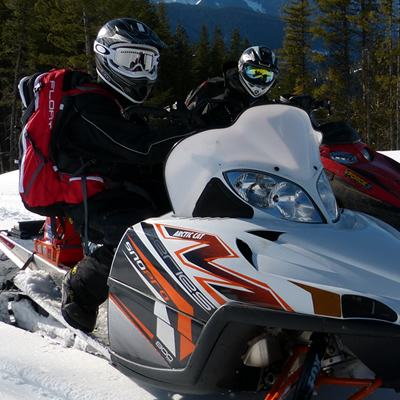 Have snowmobiling photos you’d like to share? Enter them in our Hotshots contest for your chance to win.